When it comes to Google penalties, there is a sea of information hiding out there. If your site has been hit with a manual penalty, consider yourself a lucky one. At least you know the problem, you have a loose direction on how to fix it and you can directly contact someone at Google about lifting the penalty. Granted an algorithmic penalty could be sitting right behind it, but when Google tells you that your site has attracted unnatural links, you can formulate a strategy for getting out of Google's doghouse. Once we enter Google's zoo of disenchanted algorithm animals, finding out exactly what is wrong with your site can be a mammoth undertaking. If you don't pinpoint the correct issue, you can spend valuable time cleaning up and fixing something that may not even be problematic. I don't need to tell you that every day your site operates at 10 percent efficiency it costs your business serious money. Outside of a manual penalty, Penguin is perhaps the most commonly known among Google's algorithmic penalty creations. At its heart, Penguin is Google's line of defense against spammy backlinks that attempt to manipulate search rankings. If you tried to game the search engine by littering the Web with comment spam or you had the bright idea of purchasing those 500 links for $25, you are in this unfortunate boat. Penguin is a site-wide penalty so it sits on your website with its enormous weight, ignoring those shady links and discounting the valid ones as well for good measure. The only way to escape a Penguin penalty is through a thorough clean-up of your website's link profile. So How Do I Know That I've Been Penalized by Penguin? While Google's stable of algorithmic penalties seems to grow by the day, the two key ones that plague most site owners are Penguin and Panda. They are the bookends of the penalty universe. Penguin primarily addresses off-site problems while Panda focuses more on on-site issues. If you have problems with thin, scraped or duplicate content on your website, Panda is the animal you have to wrestle. If you have unnatural links pointing at your website, Penguin is most likely at play. Websites can also be affected by both penalties at once, and I believe that once an initial penalty takes up residence on a website, it forces Google to take a closer look at other things that may be breaching their quality guidelines. The prospect of dealing with multiple penalties shows you why penalty clean-up work can be such a difficult undertaking. So How Can I Clean Up a Penguin Penalty? Penguin clean-up work can be a time consuming task whose payoff can try the patience of a saint. I realize that's not the answer that most webmasters want to hear, but its the reality of the situation. Your first task is separating the quality links from the spam links that are causing you so much pain. To get a full catalog of the links pointing to your website, you can login to Google's Webmaster Tools and under 'Search Traffic > Links to Your Site' Google serves up a fairly comprehensive list of all websites with links point at your site as well as how many links are coming from each external site. Google's Webmaster Tools isn't the only resource for evaluating your backlink profile. Majestic SEO and ahrefs also do a great job generating these lists though these are monthly paid services. If you want to have the deepest view, I'd recommend drawing link reports from two or three sources before you start evaluating. Frequently, Google Webmaster Tools won't have fully cached all the link data on the Web, and ahrefs and Majestic SEO can step in to fill those gaps. Let's focus on reviewing links present in Google Webmaster Tools. When you click on the domain link, it shows you exactly what pages on your site are being linked to by the website in question. From here, you can continue clicking through to view the url on the linking site and ultimately determine the context that the link was used. How Do I Determine What Links to Keep and What Links to Leave Behind? Cleaning up toxic links can be a time consuming process so make certain that you do it correctly. 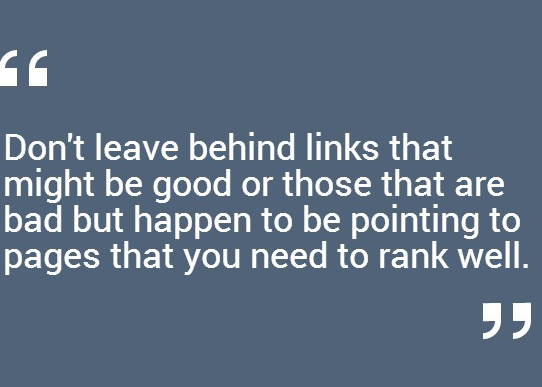 Don't leave behind links that might be good or those that are bad but happen to be pointing to pages that you need to rank well. If you only perform half the job, that Penguin penalty won't budge on its next update. It will stubbornly sit on your site until it gets what it wants -- a completely clean link profile. Link clean-up essentially comes in two forms -- link removal through email outreach and disavowing links. Some people skip the outreach step because its time consuming, and the success rate is notoriously thin (5-25 percent). Axing outreach certainly speeds up the process, but I feel Google likes to see that you've made an effort to clean up the Web -- however small that effort actually was. If you are doing link removal outreach, be sure to chronicle your efforts in case you need to present your clean-up actions to Google's webspam team (e.g. if a manual penalty hits you in the future). Disavowing links will be the meat of your clean-up efforts. By submitting a list of disavowed links, you are telling Google not to count these links toward your rankings. The tricky part is separating the clean links from the dirty. In your eyes, a link may be as clean as whistle, but in reality it may be just as toxic as those links you've deemed as throwaways. It can be a good idea to hire an outside agency to review your backlink profile since they can bring an objectivity to the process you may lack. A clean link is essentially one that you've earned naturally. If a local newspaper wrote up an article on your industry in which you were quoted and the writer subsequently linked to your website, that is a valid link. If a blogger is in love (or hate could work as well) with your product and scripts a post going on and on about your widget, ultimately tagging you with a link, that is also a valid link. A clean link is one you didn't pay for, you didn't post yourself (like a blog comment, message board mentions, etc) or some rogue SEO firm didn't place. When performing your link detox, most links will be very black and white. Sometimes you'll have to look at the context of the link. In these instances ask yourself, "Does it make sense in how this link was used on the page? Is this site a credible source that I want my brand associated with?" When in doubt, add it to your throwaway pile. When you are operating under penalty, Google likes to see deep cuts especially if your link profile is comprised of a significant percentage of spam. Disavow the domain or the link? A good rule of thumb that I like to use is looking at the first three links for a domain in Google's Webmaster Tools. If they are all spammy, disavow the entire domain. If maybe there is a site that you have a bad link from yet also a good one, just disavow the page the bad link resides on. In my experience, you'll normally disavow links at the domain level. Its rare that sites would be pointing both good and bad links at you, and in these instances, you should start questioning how good those links are that you previously thought were clean. To successfully combat Penguin, you need to take a machete to the questionable links. Carefully sculpting your link profile with a scalpel won't be your answer to traffic salvation. Leave out the www and http:// on domain level references. Also be aware that domain level disavows don't address any links that may be coming from subdomains so these would need to be disavowed as a separate entry. Each entry in the disavow file should be on a line unto itself. Once you've built your disavow text file, you'll need to upload it via Google's disavow tool for processing. Now that We've Done All the Work, How Long Will I Have to Wait Until the Penguin Penalty is Lifted? Now comes the real fun -- the waiting game. Two things need to happen for a Penguin penalty to successfully lift. Googlebot has to recache all of the Web pages that you disavowed so these links can be effectively seen as nofollow. This process can take around 3-4 months. Next, that full cache update has to happen before the next Penguin penalty update goes into effect. 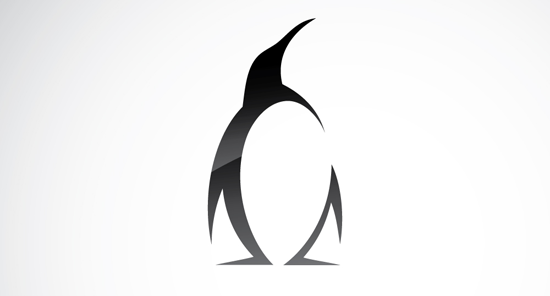 Since Penguin first came on the scene in April 2012, there have been four updates released. These hit the Web in May and October of 2012 and May and October of 2013. The SEO community is anxiously awaiting word on when Penguin 6 will escape. Google's Webmaster Trend Analyst John Mueller says the update is in the works. Since there is six months-plus between Penguin updates, getting your website to recover quickly is rarely possible. Site owners can go two and even three Penguin update cycles before seeing any real results. Sometimes when the Penguin penalty is lifted, the traffic recovery is rather modest and not a huge swoon to pre-penalty levels. You should be aware that those old rankings you enjoyed are largely extinct. When you disavow and remove those links, you also removing those artificial rankings that were propping up your site up in the search engine rankings. You will have to earn new quality links to replace the old spammy links to have any hope of reclaiming those prime placements on competitive keywords. Quality links don't just show up overnight. Even with the best and most compelling content, this is normally a long, slow process. Also realize that Google implements 600 changes to its search algorithm each year. If your site has been penalized for a long stretch, it is entering a whole new world of search once the penalty has been removed. New ranking factors are going to be seen more prominently and the overall ranking formula has been shuffled. Penguin penalty clean-up is not a fun task, and I think Google has purposely engineered it to be a bit painful on site owners. It takes little effort to unleash a spam bot to litter hundreds of blogs with filthy comment spam, but it takes significantly more effort to try to clean that mess up. I think Google wants Penguin-infected owners to experience some pain and be forced to spend some time in the penalty box to mull over what they've done. Maybe if Google twists the vise hard enough, site owners will swear off their spammy black hat ways or do a little more research the next time they consider hiring a fly-by-night SEO firm. Mark Runyon is the president of Web and software development firm located just north of Atlanta called Vandelay Web. Over the past 13 years, he has programmed a variety of systems for Hewlett Packard and Elliott Wave International. He also runs ConcertTour.org.